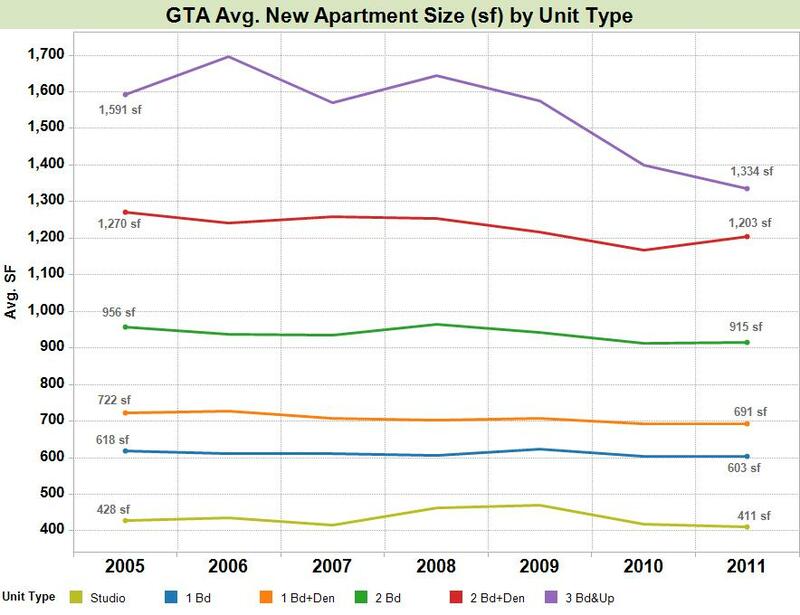 Average new condo apartment unit sizes have dropped over the last 6 years for all unit types. The amount of change ranged from 2.5% smaller for 1 Bedroom units to 16% smaller for 3 Bedroom & Up units. The average decrease in size for all unit types was about 5.5% smaller over the last 6 years. Current average sizes range from 411 sf for Studio units to 1,334 sf for the 3 Bedroom & Up units. The average unit size for all unit types is 847 sf compared to 896 sf in 2005.